Owning a pet can be one of the most rewarding relationships in your life. Pets are loyal, loving and even provide health benefits for their owners, such as lower blood pressure and stress reduction. Unfortunately, pets can be expensive between food costs, supplies and trips to the vet. 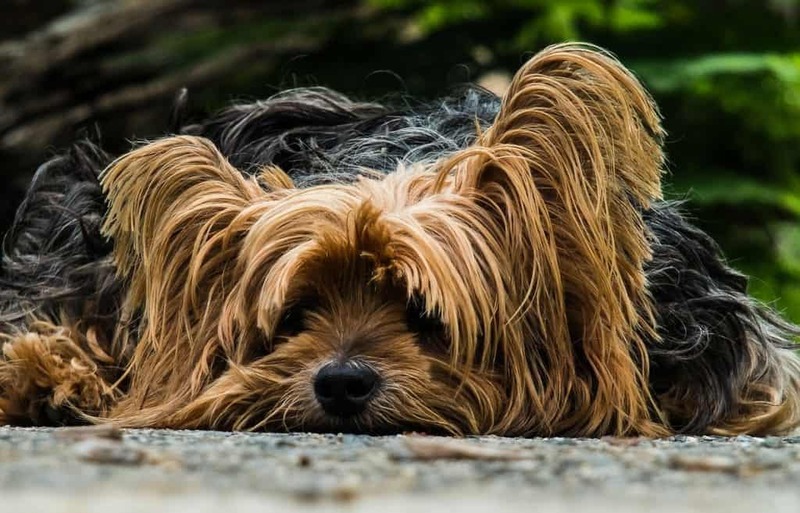 Many people consider their pets members of the family and are willing to spend the money to care for their pets, but when faced with money issues, sometimes there just isn’t any extra room in the budget to care for them. 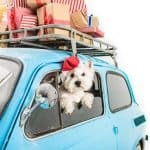 During tough economic times, there is often a steep rise in the number of cats and dogs being surrendered to animal shelters or abandoned as owners face unemployment, foreclosures, evictions and other financial hardships. Unfortunately, when shelters get full, they often have no choice other than to euthanize innocent animals. Fortunately there are ways to get help without abandoning Fido or Fluffy. Local and national organizations can help people care for their pets over the short-term and long-term. 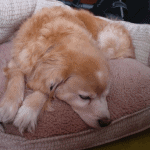 Here are four ways to find help caring for your pet during hard times. 1. 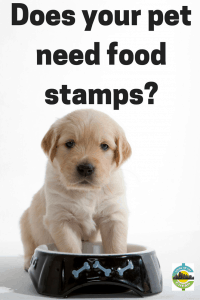 Check with local food banks, pet store managers, pet rescue organizations, animal shelters, the county animal control department and social services agencies for resources for feeding your pet or low-cost vet clinics. Do an Internet search for “[your county or city] free pet food or clinics” to see whether help is available. Your veterinarian may offer a sliding scale for payments or give you free samples of medication for your pet instead of costly prescriptions. Local veterinary schools may also provide services for a lower cost. You can also scour Craigslist and Freecycle for free or cheap pet supplies and food or post a “wanted” ad on either website. People may be willing to part with food that their pets refused, or leftover food or supplies when a pet has passed away. 2. The Petco Foundation helps fund local programs with product donations, veterinary services, short-term financial assistance and food bank programs. There are Food Bank Collections in Petco Store nationwide which are donated to local food banks. 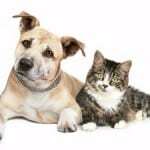 If you need assistance with obtaining pet food or wish to donate pet food, see this list of Petco stores to locate one in your area. 3. If your pet isn’t already spayed or neutered, it’s your responsibility as a pet owner to have this done. The procedure will not only prevent you from having additional medical and food costs for your pet if it were to become pregnant, but it also prevents unwanted puppies and kittens from ending up in pet shelters, which further reduces their resources to help homeless animals. There are also many health benefits for spaying and neutering your pets. SpayUSA is a fantastic resource to find low-cost spay and neutering services through about 2,000 programs nationwide. Some participating clinics also offer other low-cost services, such as vaccinations and microchipping. A referral and voucher program through SpayUSA can help qualified, low-income pet owners afford spay/neuter costs by covering a portion of the costs for the surgery. 4. 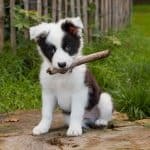 If you’re still having trouble finding help, the Humane Society of the United States has articles online including “Having trouble affording your pet?” and “Having trouble affording veterinary care?” that provide suggestions and lists of additional organizations that may be able to help. Finally, if you are considering getting a pet, please think about whether you have the time and resources to provide for the animal. When you start looking for a pet to adopt, check local shelters and pet rescue organizations rather than purchasing from a pet store or breeder. Not only is it less expensive, but you’ll be helping an animal who is truly in need and helping to reduce the demand that encourages breeders and puppy mills. Dogs and cats of every size, age and breed are available for adoption. Petfinder is a great resource to search for your next pet; searches can be limited to particular breeds and locations. 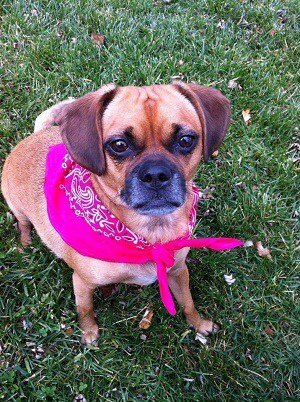 We adopted our adorable, loving Puggle (pictured above) from a local rescue organization. She had been abandoned and sent to the shelter not once, but twice. While we’ll never know why her other owners abandoned her in the first place, we do know that she has never displayed any negative behavior in the year we’ve had her. The $175 adoption fee included spaying, vaccinations and microchipping before we brought her home.